In 2019, Eastern Europe will celebrate 30 years since the fall of communism, but this celebration takes place in a context of increased geopolitical competition in the region. The Western democratic model is under attack, not only in the countries of Eastern and Central Europe, but also in the core countries of the EU, and even in the United States. The messages and methods of dissemination used by anti-Western propaganda may differ with each national context, but the effect is the same – the slow, but progressive erosion of trust in democratic values and the institutions which embody them. 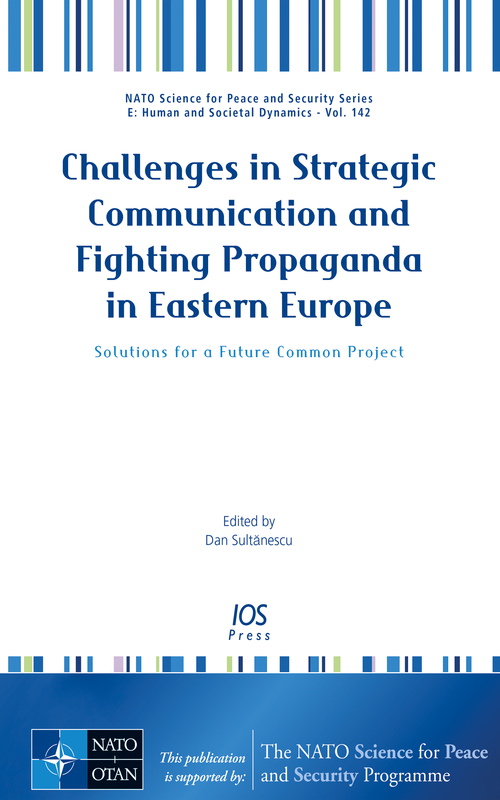 This book presents papers from the NATO Advanced Research Workshop “Challenges in strategic communication and ﬁghting propaganda in Eastern Europe. Solutions for a future common project” held in Chisinau, Moldova, on 25-27 April 2018. The workshop brought together institutional, academic and civic experts from the social sciences, journalism, computer science, and international relations to share insights into security and strategic communication, as well as research results and expertise on the impact of social media and technological innovation, with the aim of shaping a new project with a common methodology to monitor, collect, process and interpret data on strategic communication and devise efficient tools to counteract anti-Western propaganda. With contributions about Romania, Moldova, Ukraine, the Western Balkans and the USA highlighting challenges such as detecting propaganda, identifying the groups most vulnerable to its inﬂuence and building mechanisms to strengthen trust, the book will be of value to all those with an interest in defending the Western democratic model.